Peter Low named as Managing Director, EMEA; Keir Fawcus hired as Senior Vice President of Sales, EMEA at Cision. Cision has announced the appointment of Peter Low as Managing Director of Cision Group, Ltd., overseeing Cision EMEA operations. The company also announced Keir Fawcus as Senior Vice President of Sales, EMEA. Based out of the London office, industry veterans Low and Fawcus join Cision from Kantar Media, a global leader in media intelligence. As Managing Director, EMEA, Low is responsible for driving strategy and go-to-market execution across Cision’s EMEA region. He will deliver on international customer needs to meet the global demand for Cision solutions. Fawcus is responsible for implementing long-term business strategies to increase revenue and operational excellence for Cision EMEA. With more than 20 years of experience developing multinational organisations, Peter Low was one of the founders and CEO of Precise Media Group, where he led the company through a period of rapid growth resulting in its acquisition by Kantar Media. Low subsequently worked as Chief Strategy Officer at Kantar Media, where he led the integration of the company’s monitoring and evaluation businesses in Europe. Low’s deep experience in the industry also includes roles as CFO and Managing Director of PR Newswire Europe, where he spearheaded the company’s business expansion across Europe. He also held senior executive positions at Prudential UK, Total Oil and United Business Media. Low is a former chair of the U.K. Media Monitoring Association (UKMMA) and served as director at the International Association for Measurement and Evaluation of Communication (AMEC). 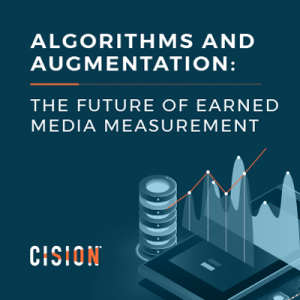 Cision Ltd. (NYSE: CISN) is a leading global provider of earned media software and services to public relations and marketing communications professionals. 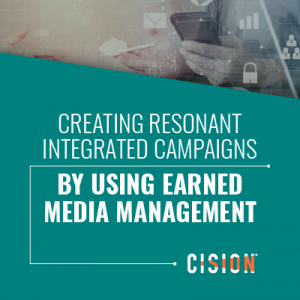 Cision’s software allows users to identify key influencers, craft and distribute strategic content, and measure meaningful impact. Cision has over 4,000 employees with offices in 22 countries throughout the Americas, EMEA, and APAC. For more information about its award-winning products and services, including the Cision Communications Cloud®, visit www.cision.com and follow Cision on Twitter @Cision.